Diesel hot water calorifier and immersion heater & gas instant water heater. 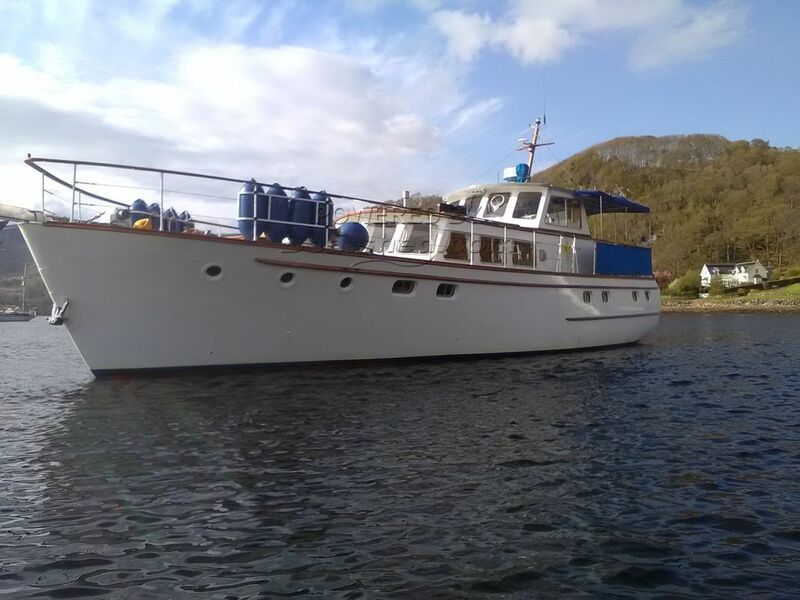 This Fleur de Lys Motor Yacht has been lovingly maintained and is kept in doors for the winter period. She has been prepped for the coming season and is about to be launched. She has undergone extensive upgrading which is very evident when you step aboard. With full records detailing all the work carried out. This is a rare opportunity to acquire a classic icon. This Fleur De Lys 52 has been personally photographed and viewed by Ian Sawkins of Boatshed Scotland. Click here for contact details.